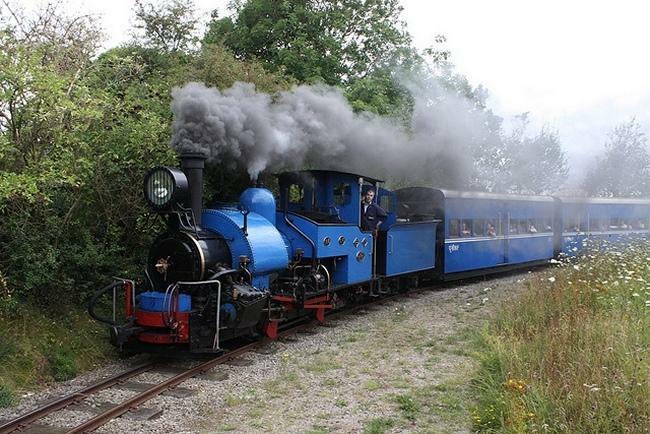 A four-member team from the Darjeeling Himalayan Railway will fly to the UK next week to learn about conservation measures for the 137-year-old heritage network. Sources said the decision followed prods from Unesco — which granted the DHR World Heritage status in 1999 — after service disruptions and destruction of its properties, including two stations, during the statehood agitation last year. “This is the first-of-its-kind trip for employees of any heritage railway in India. It is a five-day programme where they will learn about conservation and maintenance of the old railways of the UK so that the steps can be replicated at the DHR,” said Subrata Nath, director (heritage) on the Railway Board. The team will be led by DHR chief M.K. Narzary. “Those going on the trip will have to work in the DHR for at least two years and will not be transferred as we need their experience for the DHR’s conservation,” said a source. Adrian Shooter, president of the UK-based DHR Society, said the team would visit his home in Steeple Aston, Oxfordshire. Paul Whittle, vice-chairman of the society, said: “We will meet them and extend all help,” Whittle said in an emailed response. After the agitation last year, Unesco had written to the railways underscoring the need to conserve the DHR. In March this year, Railway Board chairman Ashwani Lohani visited the hills and hinted at steps to conserve the service that started in 1881.